Nokia has finally launched three of its most awaited Android smartphones in India, starting with a price tag of INR 9,499 for Nokia 3. 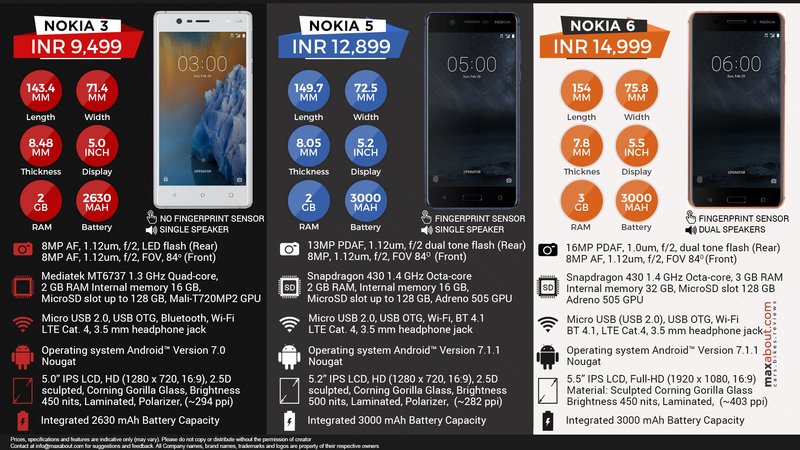 They are asking INR 12,899 for Nokia 5 and INR 14,999 for Nokia 6, making them quite expensive when compared to segment leader Xiaomi. All of the phones are equipped with dual SIM support and 4G VoLTE as standard. Nokia 6 comes with a metal body while other two are equipped with poly-carbonate body. Nokia 3 is to be sold through offline stores from June 16 while pre-bookings and offline sales for Nokia 5 will start on July 7. Click here to know more about Nokia 3. Click here to know more about Nokia 5. Click here to know more about Nokia 6.